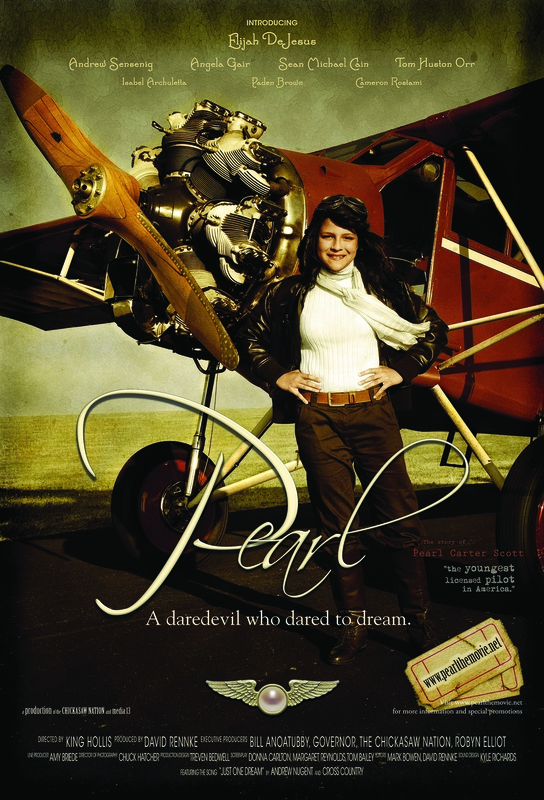 Summary: Beautifully filmed, impeccably portrayed, the feature film “Pearl”, a production of the Chickasaw Nation, brings to life the endearing story of Pearl Carter Scott – Chickasaw aviatrix. A spunky 12 year old Pearl soars as she befriends world renowned pilot Wiley Post, which introduces her to a love for flying and to becoming the youngest pilot in American aviation history. Raised in the late 1920’s in Marlow, Oklahoma, Pearl encountered her share of obstacles. This Chickasaw girl rises above adversity, takes on responsibility and, with the guidance of her father, holds fast to her ‘never give up’ attitude.